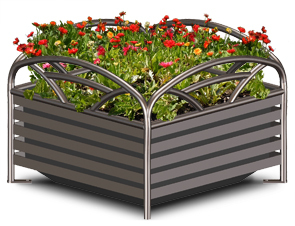 Upgrade your facility with some greenery in these upscale steel planters. The stylish planters combine strength, durability, practicality all into one intricately designed planter. These planters perfectly match all the other products in the Breckenridge Series so you can create a completely designed facility. 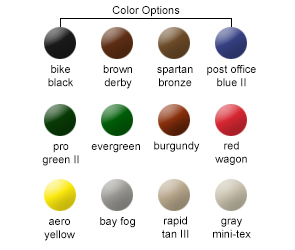 Available in the powder-coated color options shown below.